Bar Pulls 16-3/8 Inch (416mm) CTC Pull - Oil-Rubbed Bronze The Amerock BP19015ORB Bar Pulls 16-3/8in(416mm) CTC Pull is finished in Oil-Rubbed Bronze. Modern functionality meets straightforward styling. Simple. Bold. True. The sleek and sophisticated design of the Bar Pulls Collection makes a statement with clean lines and smooth textures. The Oil-Rubbed Bronze finish is a rich, dark brown old world finish with striking light and dark accents. 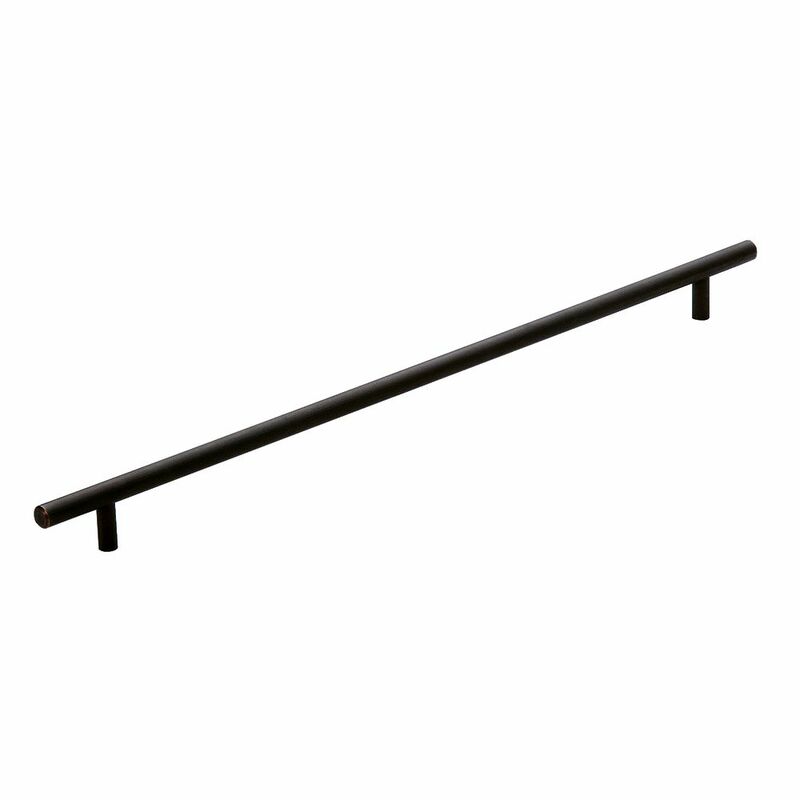 Bar Pulls 16-3/8 Inch (416mm) CTC Pull - Oil-Rubbed Bronze is rated 5.0 out of 5 by 3. Rated 5 out of 5 by HomeDepotCustomer from I made some other cabinets and used these pulls and... I made some other cabinets and used these pulls and liked them. Now I am making more and needed pulls to match. Rated 5 out of 5 by Patti from Drawer pulls look great on the kitchen island I made... Drawer pulls look great on the kitchen island I made from an old buffet.